The Joomla world is entirely rich and known to deliver impracticable solutions. It is as of now fueling the platforms of big associations and corporate. Genuine Joomla developers can understand what they promise their customers. Mentobile Technologies, being a significant old player in the field of web development, offers a complete range of Joomla services to customers from over the world. Our extent covers Joomla based web development, web application development, web entrance improvement, site development etc. At Mentobile Technologies, we have proficient Joomla developers; each of them has rich industry expertness. Together with their abilities we have executed huge amounts of Joomla based solutions for different industry verticals. Mentobile Technologies are building incandescent, beautiful, and robust and performing Joomla based web solutions at much lesser costs. Our experts guide customers all through the usage of a framework and ensure that the customization fits their desires. Additionally, they are equipped for adding highlights as per site usability and altering a current Joomla format according to customer's liking. Joomla is recognized for its stability in the content management system. It's a honor winning technology empowering developers building website and web applications. Perspectives that have made Joomla the most reputed website software available in the business industry incorporate east to utilize and extensibility. It's an open source technology and easy available for free. It's supported by a solid group that continues helping developers over the world. You can't infer with 35 million downloads and numbering, or as the Joomla website says, one every 2.5 seconds, great stuff. Joomla powers the sites of a portion of the world's most well-known understood and much-loved brands like Pizza Hut and Kelloggs and even the sites for Leonardo Di Caprio and Gorillaz! When you purchase an ÄLVROS armchair from the Kuwaiti IKEA site, you can express thank Joomla for your smooth transaction. With WordPress now the foundation of more than 20 per cent of sites, Joomla can softly be the best CMS accessible without the additional weight of being the most popular and a brilliant business procedure. What WordPress people allude to as "plugins", Joomla developers allude to as "extensions". The 12,000+ plugins accessible to WordPress clients is way too much. It's overkill. That is to say, who needs to rainbowify, unicornify or catify their website? There's no requirement for all that junk. There's no compelling reason to add even more clutter to Joomla's as of now delightful templates. Some Biggest and Most Respected Companies in the World Use Joomla. Pizza Hut, the UK Ministry of Defense, the Greek Government, the High Court of Australia and MTV in Greece are only some of Joomla's biggest fans. Yet, what you won't not know is that McDonalds is also a convert that is, McDonalds in Bahrain. Joomla powers the restaurant’s site for the Arabian Peninsula, ensuring data is easily close by for budding burger flippers with stars in their eyes needing to discover more about the area's Hamburger University. Joomla's endless arrangements of text that appear to continue to go on, that is truth of the case is calls "Super User" like I'm some kind of web wunderkind who controls the interwebs from the admin area that not the slightest bit at all looking bland and boring. Signing in conjures images of riding a unicorn over an ocean of rainbows and joy balloons. Yes, I love the administrator area. It wouldn't make me like to crush my head on my console by any means. Mentobile web designers & developers have 10 years old skill in building modified Joomla solutions for industry particular requirements. 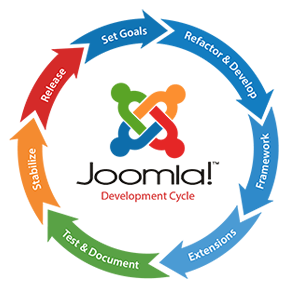 Our experts can give taking after Joomla Development services.